The hubby and I love to host friends for dinner! 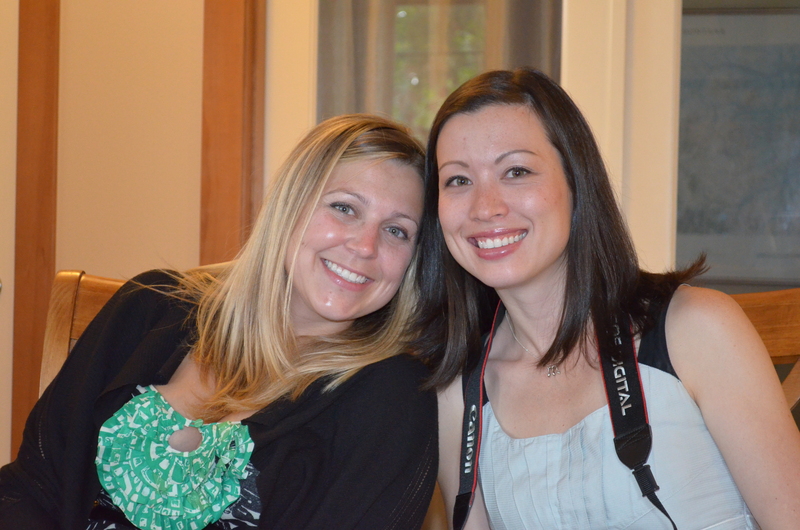 We love bringing friends together, spending time with them over a delicious meal and having great conversations. 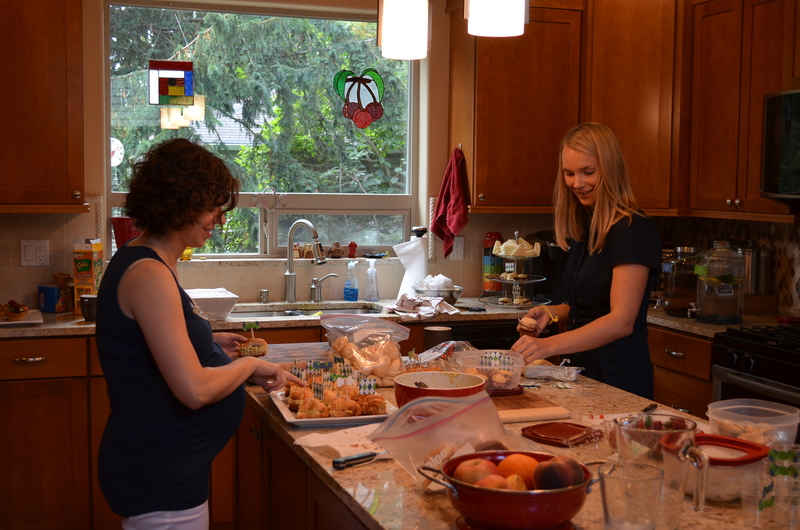 In addition, I absolutely love the planning, the prepping, the cooking, etc. I can spend hours looking over recipes deciding just the right thing to make for the group we are having over. 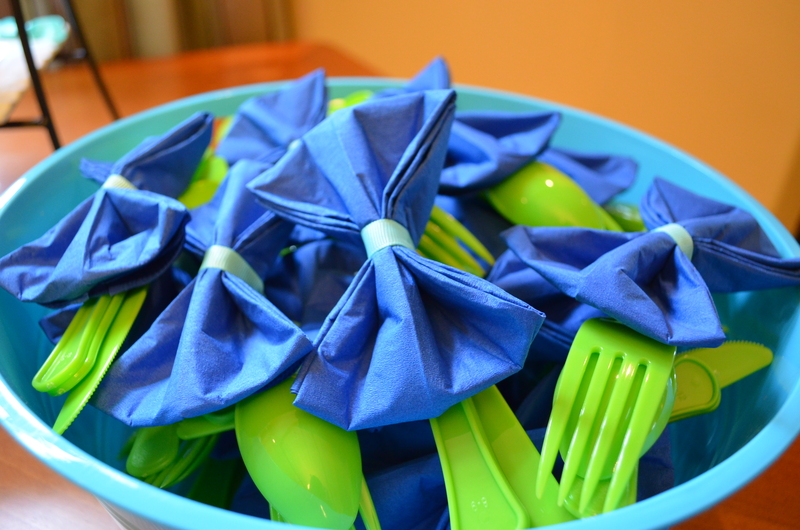 The only part of hosting I don’t like is the clean-up! 🙂 Thankfully, the Mr. is good at taking charge and getting it going. I will totally admit it…I am a messy cooker! 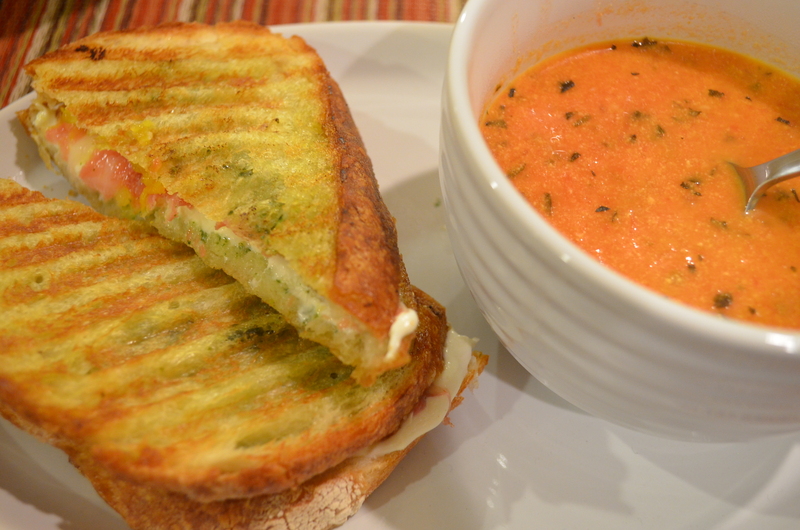 So after searching for soup and grilled cheese recipes, I decided on Tomato, Basil & Cheddar Soup and Crispy Prosciutto Caprese Panini’s (found in a Williams-Sonoma Catalog). Man, were they amazing. Both recipes were easy to make and tasted delicious! 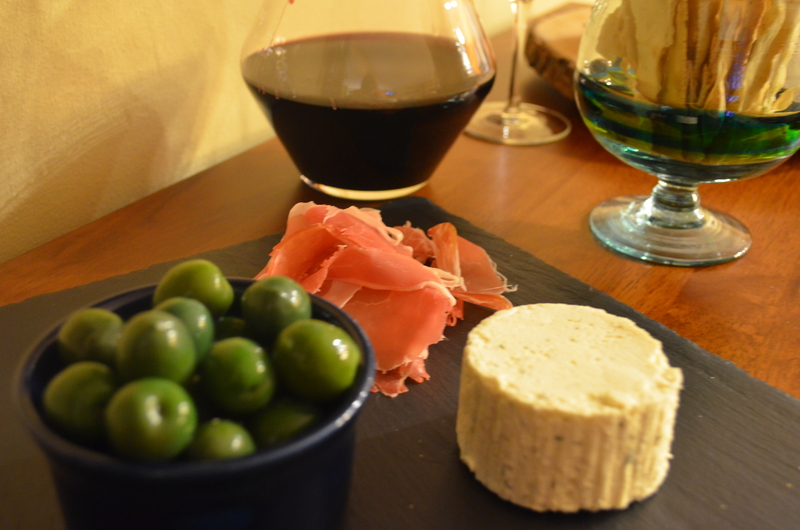 While I finished prepping dinner, I started by serving prosciutto, Boursin Garlic & Herb Cheese Spread, rosemary crackers and olives (I can’t remember exactly what they are called…but Becca & I love them)! Boursin cheese is my fall back starter…so good and so easy to put on a cheese plate! Directions: Over medium heat, add the olive oil to a large pot. Add the chopped onion and allow to cook until tender, about three to four minutes. Add in chopped garlic and cook for an additional two minutes. Pour in the two cans of tomatoes (juice and all) and the vegetable stock. Stir in the basil, oregano, sugar, and salt and pepper. Place the lid back onto the pot and allow to simmer ten minutes. At the end, stir in the Greek yogurt and cheddar cheese until well blended. Use either an immersion blender or food processor to puree the soup if you prefer a smooth texture. Garnish with chopped basil and grated cheddar cheese if desired. Directions: In food processor, combine basil and 1/2 cup oil; blend until almost smooth. Set aside. Preheat electric Panini press to medium. Brush one side of each bread slice with plain olive oil. Lay slices, oiled side down, on work surface; brush top side of each slice with basil oil. Layer cheese evenly on 4 bread slices. 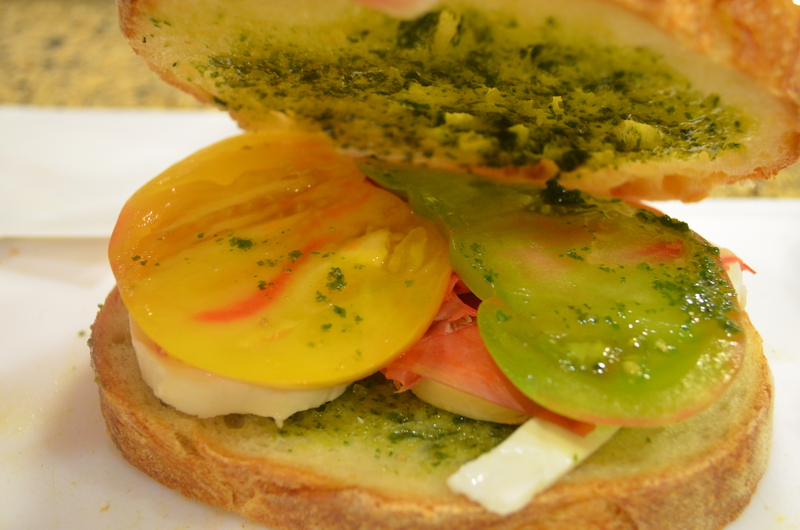 Place prosciutto slice on each cheese-topped bread slice; top with 2 tomato slices. Top each with one of remaining bread slices, plain olive oil side up. 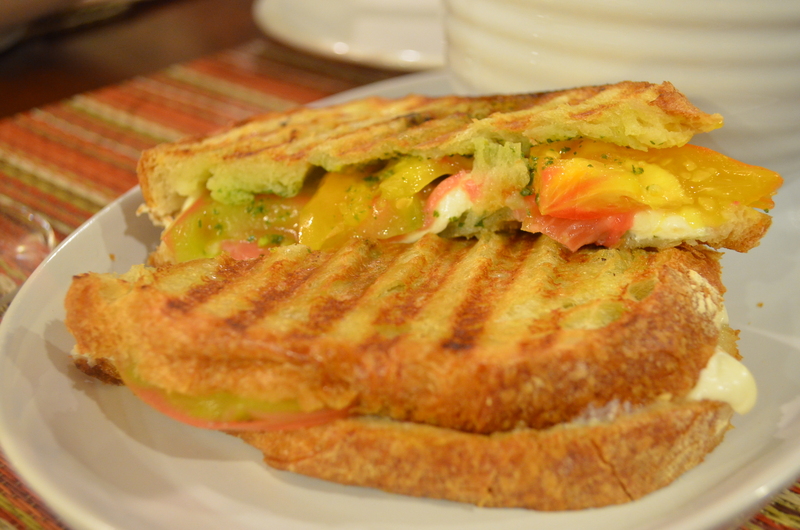 Place a sandwich or two on Panini press; close lid. Cook until bread is crisp and cheese is melted, about four minutes. Repeat to cook remaining sandwiches. Directions: Combine the zucchini, fennel and dill in a bowl and toss with lemon juice, olive oil and 1/4 teaspoon salt. Set aside and let marinate for 20 minutes to an hour. 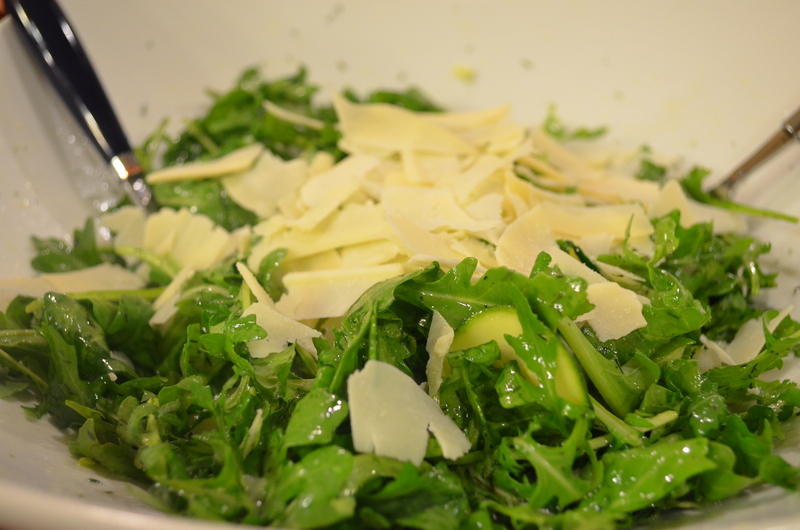 When ready to serve the salad, put the arugula in a large bowl. Scoop all of the zucchini and fennel onto the arugula, and pour most of the lemon juice dressing on top. Toss gently but thoroughly. 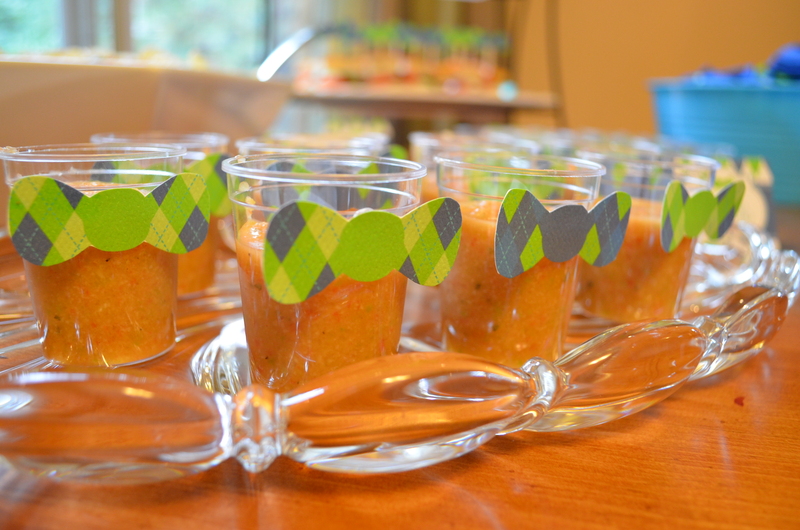 Taste and adjust with more of the dressing if needed. Serve topped with shaved parmesan cheese. 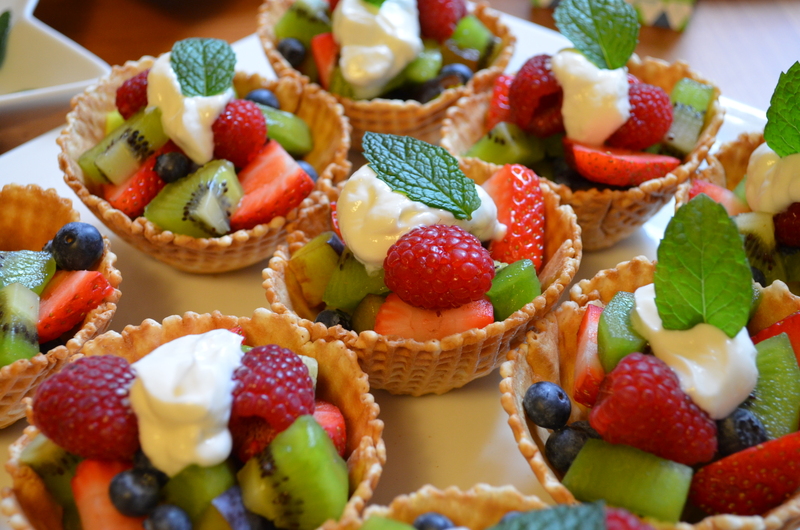 Hope you enjoyed these recipes. I highly recommend giving at least one of them a try! I was so happy with how they turned out. The pup is driving me crazy, he is dying for some activity. Time to wander down to the village and get him outside while we have a little bit of sun. Was a big week of cooking so hopefully I will be back later to share a few more recipes 🙂 Have a great Saturday! 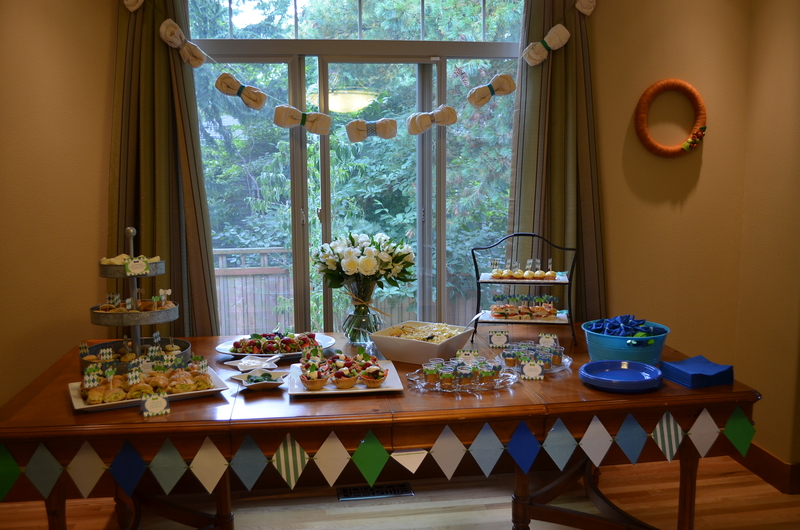 Several weeks back (yes I am WAY behind), I helped host a baby shower for a very, very dear friend of mine! Becca and Cam are expecting their first little one (a baby boy to be named Owen!) around Thanksgiving and I couldn’t be more happy for them! 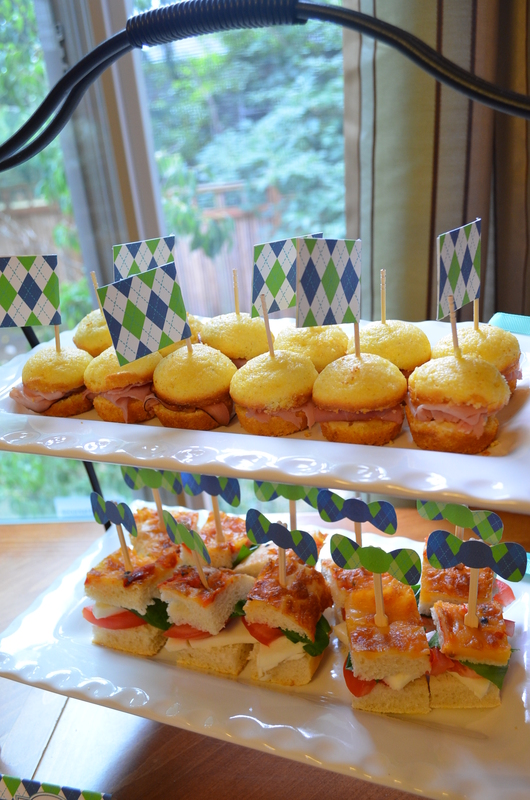 I was so excited to help host this special event! 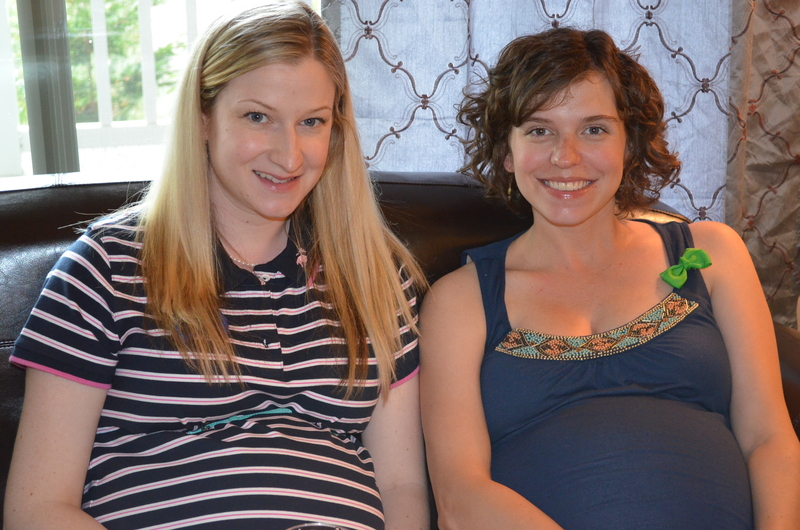 Four of us got together to throw the baby shower (Maureen, Amanda, Rachel and me) and it was such fun working with these ladies! 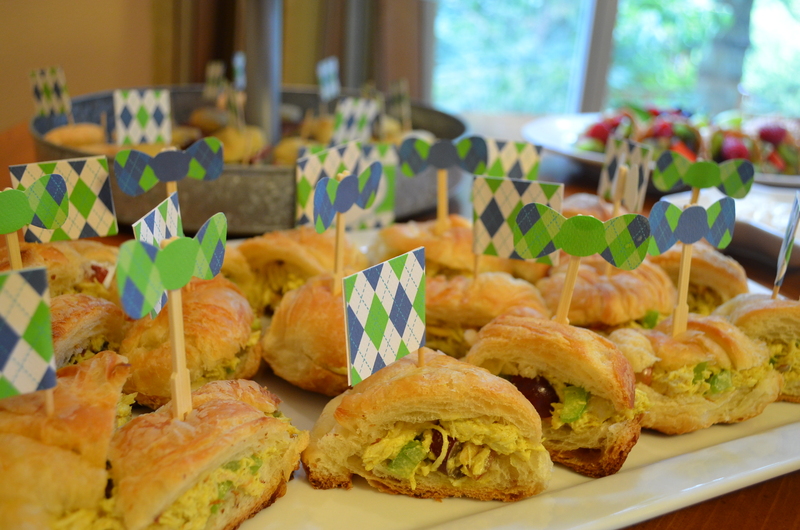 The baby shower was Preppy themed. 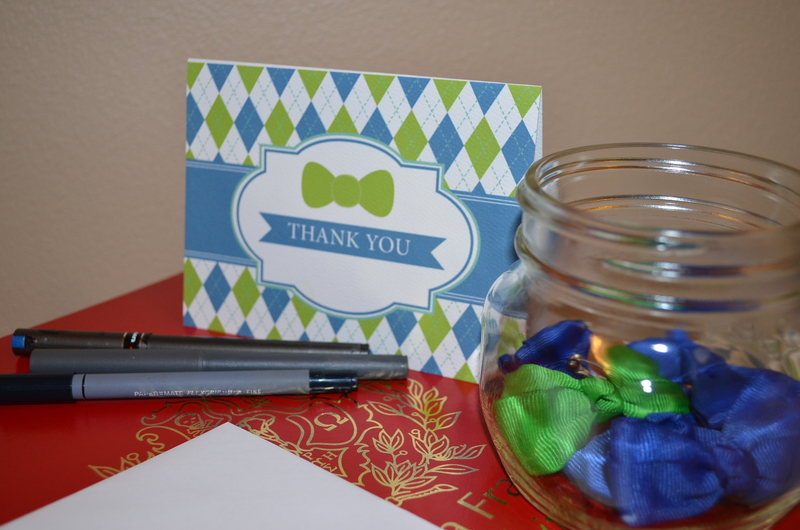 Everything was blue/gray/green/aqua colored and there was lots of argyle and bow-ties. 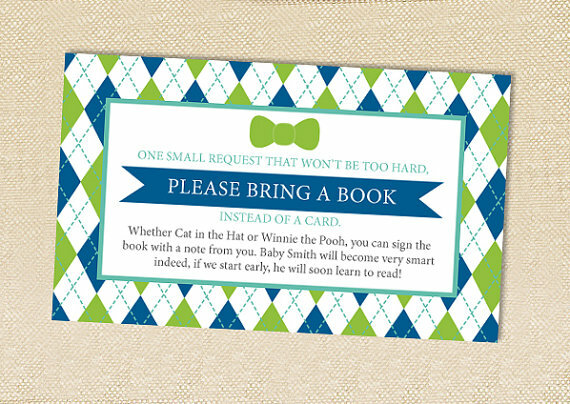 Most of you can probably guess, but for the shower, I was in charge of invitations and of course the food! The lovely food prep helpers! Mock birth print for baby Owen 🙂 Designed by Katie (find her on etsy – polkaprints). 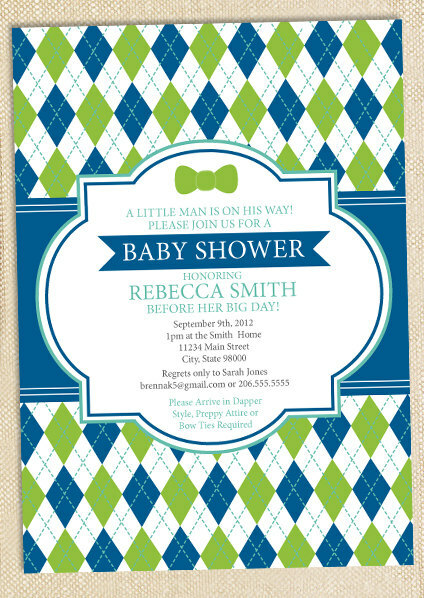 As of the date of the shower, Becca and Cam hadn’t announced the name they had chosen. 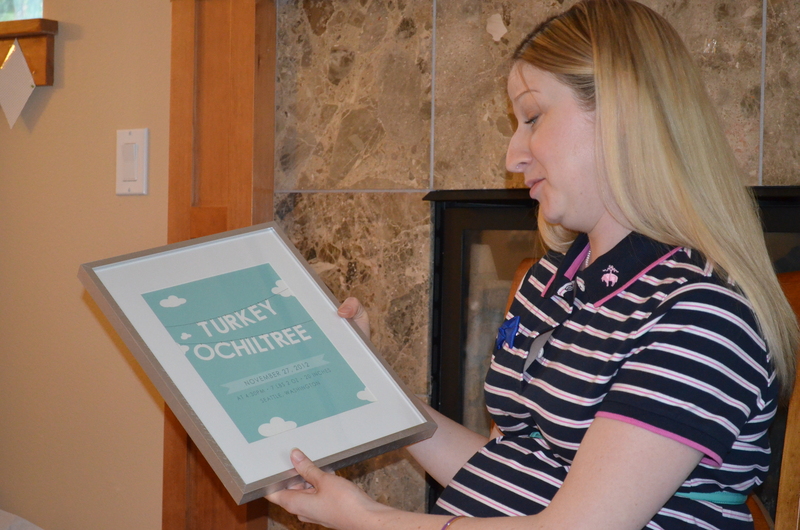 So instead, I had Katie put Turkey on the birth print as that is what they had often referred to him as 🙂 It was such a treat though cause at the shower Becca surprised us by telling us the name! Becca, I am so excited for you and Cam. 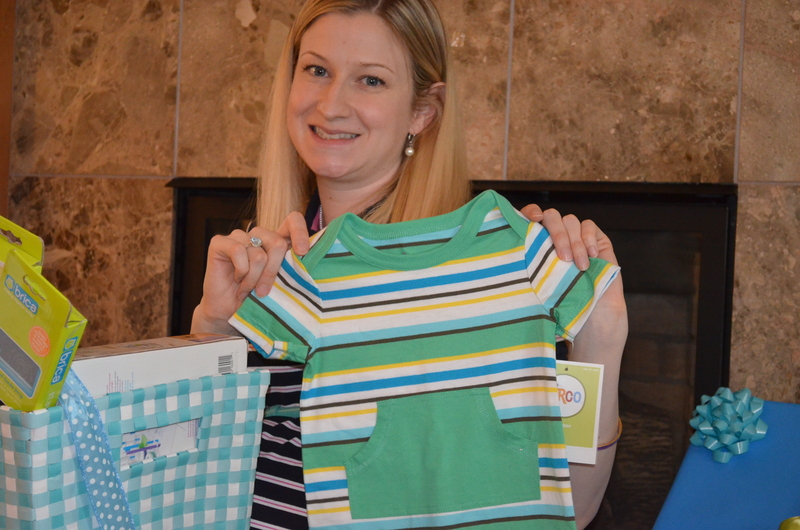 Can’t wait to meet baby Owen in a few short weeks! You are going to be the best parents!